When freedom is just the beginning…. For 8 long years Lily has been held captive and abused by the man who stole her one fateful day when she was 16, even forced to give birth to a baby girl she named Sky. Until one day he gets sloppy, makes a mistake, he doesn’t lock the deadbolt to their basement prison. Lily takes her baby girl and runs realizing devastatingly she was only 5 miles from her home. So she runs and runs until she reaches her house. This is where the story really begins for everyone. They all struggle with the damage that has accured over the last eight years. I’ve wanted to read this book fore so long and have even owned it for months. I was worried that I wouldn’t like it not sure if a story about after she comes home could hold me. But now I’m kicking myself for not reading it sooner. Baby Doll was amazing! The feelings and emotions and interactions between the characters is so real and so strong. Everyone is damaged in a real way no one did everything right and everyone struggle. I devoured this book finishing it in less than 24 hours. 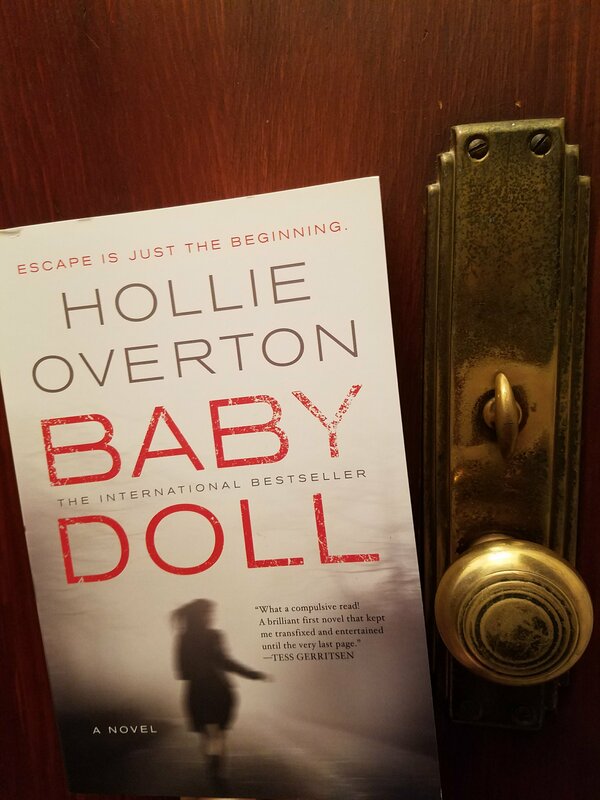 It quickly became one of my favorites and Hollie Overton has quickly became one of my favorite authors this week as I read and devoured both her books in a matter of days. I cannot wait for the next book from her! I’m so looking forward to it! If you haven’t read this book you need to now!